Confession: I’ve got a new obsession in my life. Following in the footsteps of the Surrealists and the late writer and historian Walter Benjamin, I am also now carrying a big torch for the 19th century shopping arcades in Paris, (a.k.a., “dream houses”). Whenever I can’t seem to find my supernatural powers, I beat the blues with a breathy jaunt to the passageways in Paris. Adding hustle to my bustle, it does the trick every time. So this week, let’s roll out some soft focus stills, and pay homage to a few of my favorite passages couverts. Come on, Bébe, light my fire. Ever since Louis XIV cried, “Let there be light,” tourists have been flocking to Paris. Under the reign of the Sun King, Paris became the first city in the world to illuminate its streets after dark, which helped turn it into the Number One tourist destination practically over (a well-lit) night. The invention of the folding waterproof umbrella in 1709 and the appearance of the passages in 1800, sealed the deal. 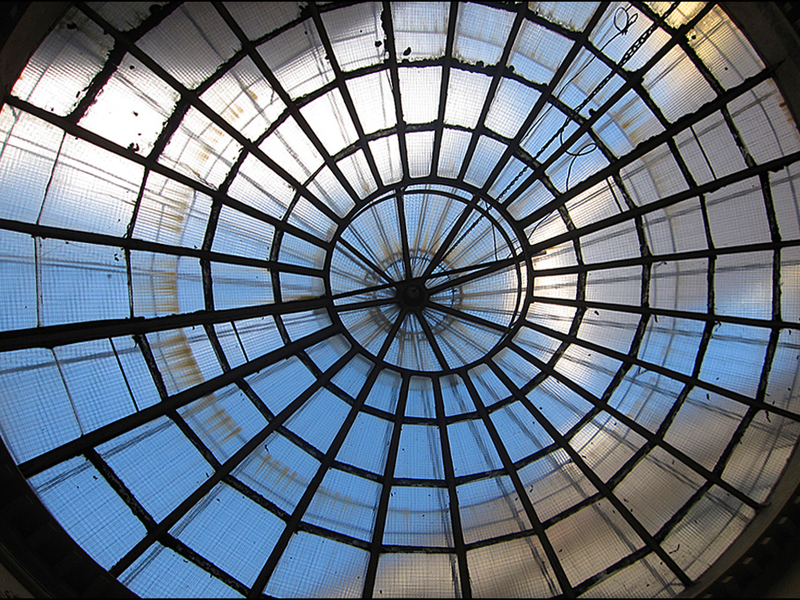 Providing gas lighting, luxury goods, and heated shelter from rain and mud, the shopping mall was born. 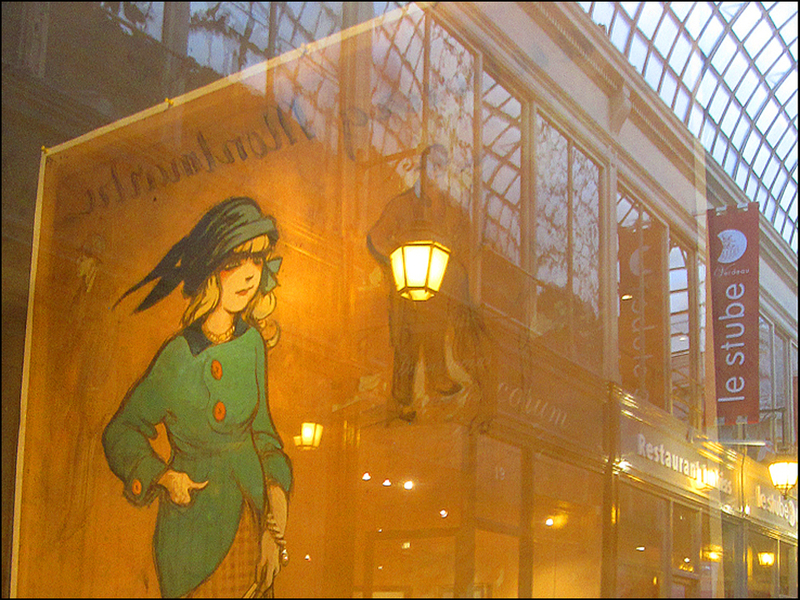 Linking streets and boulevards, the passages couverts offered new shortcuts and flâneur-flavored promenades. Here’s Eduard Devrient’s 1840 description, as recorded in Walter Benjamin’s “The Arcades Project” (1927-1940). 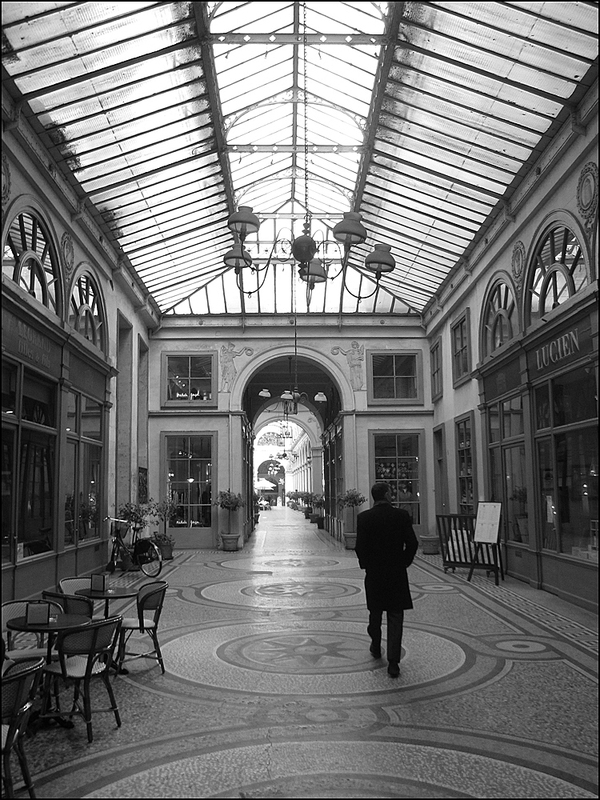 Sadly, only about twenty of the original 150 arcades survived “Baron” Haussmann’s sweeping supreme makeover in the 1850s-60s, improvements in transportation, and the dramatic arrival of the Parisian grand magasins (department stores). On the bright side: The shopping meccas that remain are still very much worth a look-see. Flooded with natural light, their narrow tiled halls are smartly dressed in glazed roofing, cast iron, mosaics, and marble pillar columns, along with sculptures and frescoes, giving a whiff of old-fashioned Parisian glamour. Hives of activity, here you’ll find art galleries, book shops, antique stores, shoe cobblers, boutiques, cafés, bars, and discount bookshops. Stop. 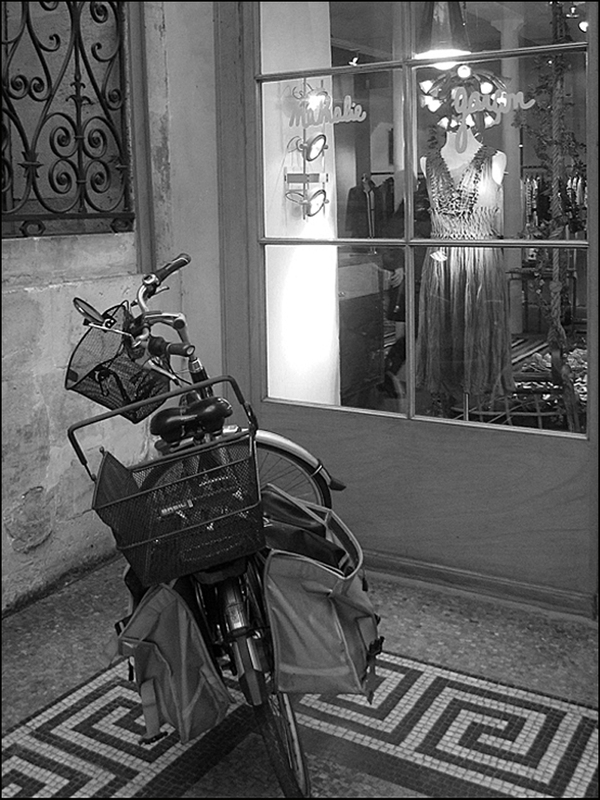 Is that Bel’ Occhio Virginia’s bike at Galerie Vivienne? “She adored the Passage des Panoramas. The tinsel of the Article de Paris, the false jewelry, the gilded zinc, the cardboard made to look like leather, had been the passion of her early youth. 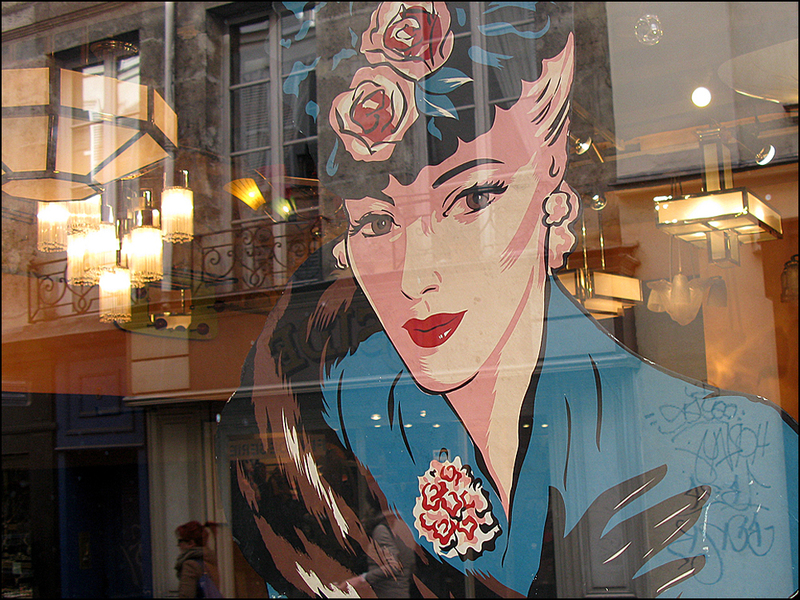 It remained, and when she passed the shop- windows she could not tear herself away from them. Trekking to Paris? Interested in time travel? Don’t miss the passageways. Here’s how to set the mood: Visit on cold, rainy day. Perhaps spin a little Satie as you throw on your thick tights, hooded cloak, and twelve flouncing horsehair linen petticoats in black, of course. Don’t forget the parapluie. Kick-off your tour with a glass a red wine at the Pâlais Royal, and then slowly, slowly saunter over to the Galerie Véro-Dodat. As you make your entrance, keep one eye peeled for the spirits flitting high between the globe lights, having a dandy of a good time. Bon Voyage! Clipping from Walter Benjamin’s masterpiece again: “I hear they want to roof all the streets of Paris with glass. That will make for lovely hothouses and will live in them like melons!” Now, let’s take a stroll! 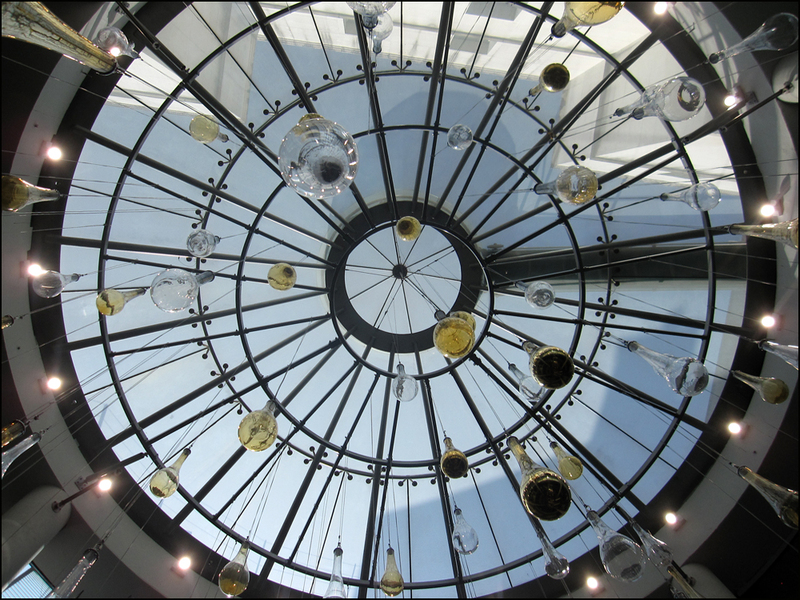 Let there be light at the Passage au Havre! Oh Theodora, you know I love Walter Benjamin! It’s ages since I’ve been to Paris and have been curious for a long time about the passages. They look incredible! Perhaps my fave blog yet. AH! YES. You recently wrote a nod to Walter Benjamin! I thoroughly enjoyed your “Monologue: Reading Material” post. Witty. I’m still working my way through Benjamin’s “The Arcades Project.” I love his passion. Here at the arcades, past and present are still dancing in the dust. It’s true. I plan to visit the other arcades. Now I’m also obsessed with Benjamin and the passageways. I’d also like to read his essay on Proust. You’d love the arcades! So many bookshops! Merci! Did you make it to the passageways during your recent jaunt to Paris? 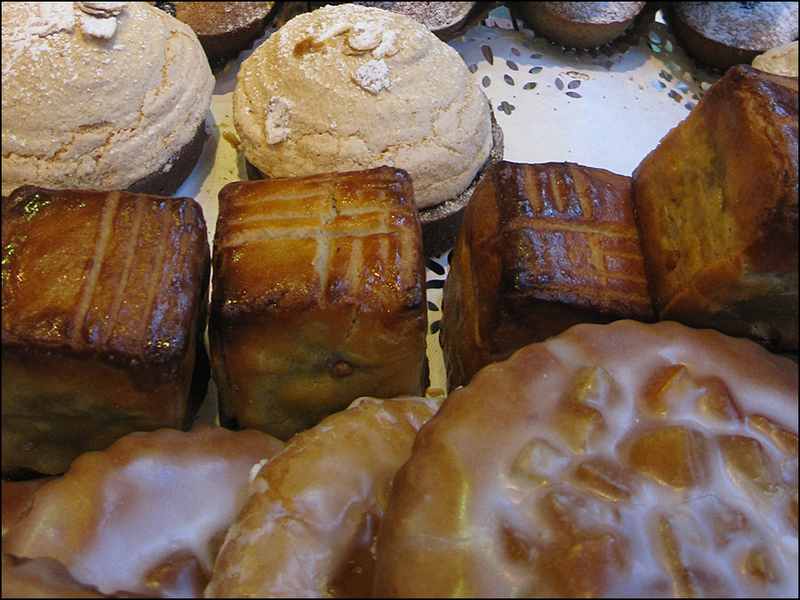 You’d love the little shops, cafés and pâtisseries. Back in the day, Folks were smitten with design elements. Reaching again from Walter Benjamin’s book, here’s a description of the Passage Véro-Dodat. It is I, Thedora, I that adore the tinsel of the Article de Paris, the false jewelry, the gilded zinc, the cardboard made to look like leather…………it is I that continue to fall into supreme ecstasies over cheap, vulgarly designed knickknacks, such as nutshell workboxes, ragpickers’ baskets for holding toothpicks, Vendome columns and Luxor obelisks on which thermometers were mounted (these perhaps are my very favorite)…………I want them all, I treasure them all……….covet, really. Oh you have set me into motion…….a motion that will not be stopped. You and Virginia best each grab an arm and drag me into the sunlight quickly! 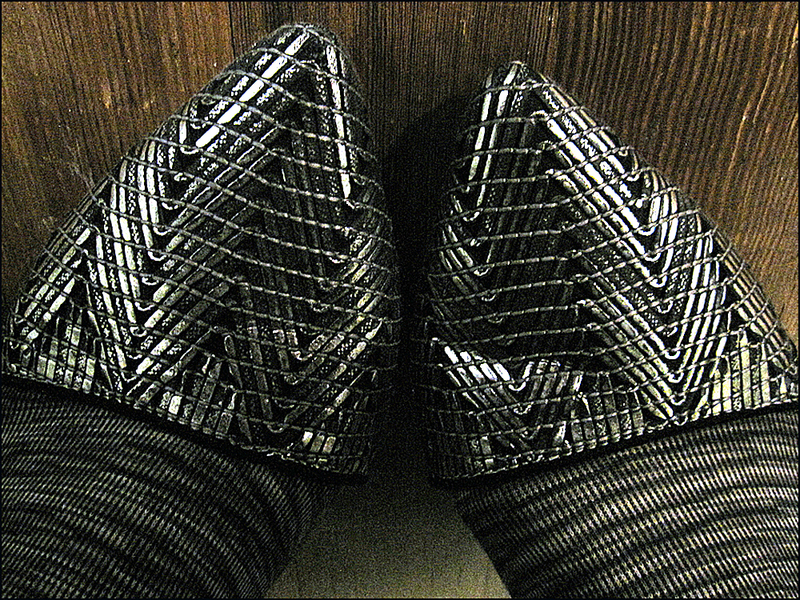 Click the heels of those slippers together and see what happens. Time travel is just a moment away. Click. Click. Click. It’s true! Especially with Walter Benjamin by my side. I’m hooked. Hooked, I tell you. Books are great friends, eh? T.
Those passages look so inviting and I knew you wouldn’t forget the treats. 🙂 I’ve been waiting for my next trip to Paris and it was worth the wait. Or was that Worth? Worth, indeed, Janet! Yes, you’d love Le Valentin Pâtisserie. They have tables. Great place to people-watch! 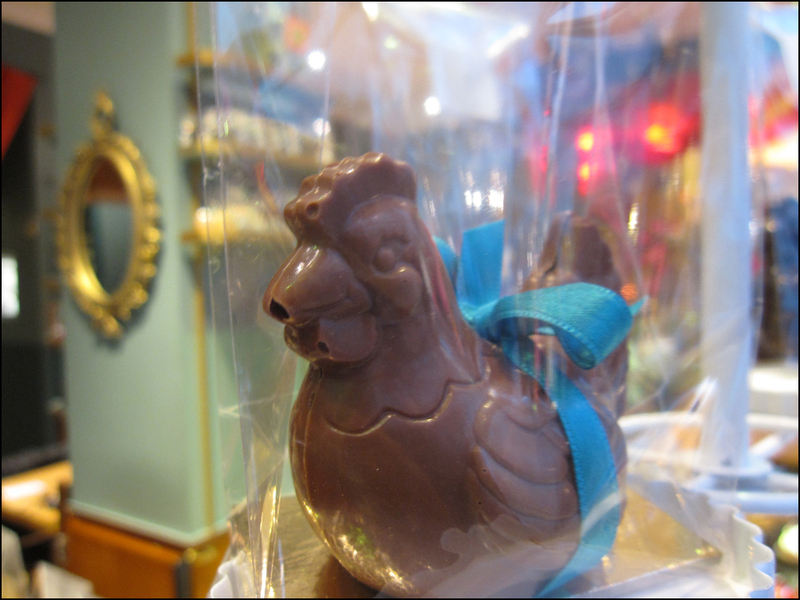 Also, the oldest chocolate shop in Paris is located near the Passage Verdeau. A la Mère de Famille” has been making candy since 1761! Frozen in time. 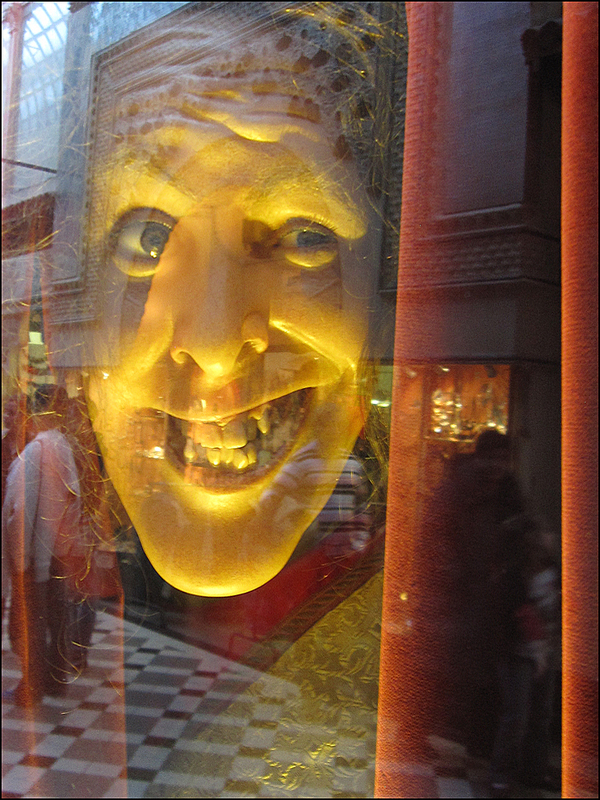 Fabulous vitrines. Enjoy your weekend! Any markets on the weekend agenda? Our older daughter will be here and I imagine we’ll get to the farmer’s market. They only go until the end of October, so not long now. How I’ll miss the year-round one in Cleveland!! Oh, well. Made four batches of applesauce on Monday after scoring a great deal on wonderful apples at a nearby grocery store. I freeze what we don’t eat right away and it’s lovely to have fresh applesauce year ’round. Enjoy the weekend visit with your daughter! Do take your camera to the market! Applesauce. Applesauce. Now I’m craving applesauce. The power of suggestion! I’m off now to find an apple! T.
The early morning sun had just touched the tops of the mountains when I heard the whisper of bicycle wheels on the driveway. The panniers were covered with silver dust. I could see they had been stuffed to over-flowing but now they only held an empty wine bottle and a crumpled shopping bag from Jean Paul Gaulthier I spun the wheels. Words tumbled from the wheels and fell to the ground. TIN MAN the letters spelt. 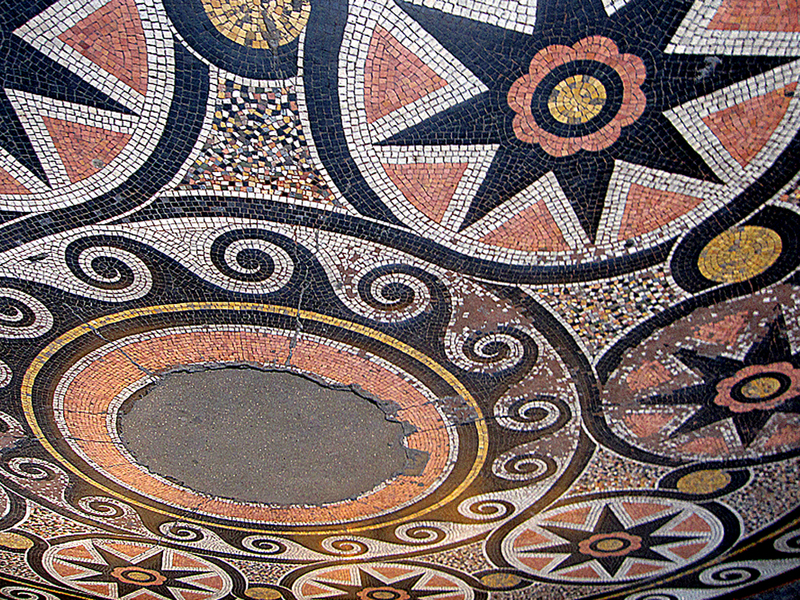 GALERIE VIVIENNE. THEADORA. Tin Man has been shopping for gilded treasures and sharing a bottle of bubbly. The Magic Bicycle twirled its pedals, closed its handle bar eyes and slept. I’ve discovered the whereabouts of the elusive Tin Man. He and his wonderful Significant Other have traveled with The Flying Monkeys to Vermont – to tie the knot. Such a celebration we will have. I’ve ordered a case of Moet and Chandon and two pounds of Russian Caviar. V.
Virginia, Thanks for ‘S Wonderful,’S Marvelous news!! Good. GOLLY. Let The Celebrations Begin!! T.
HA! Baltimore. But Baltimore has the funky old shops in Fells Point. And they’re pretty fabulous! 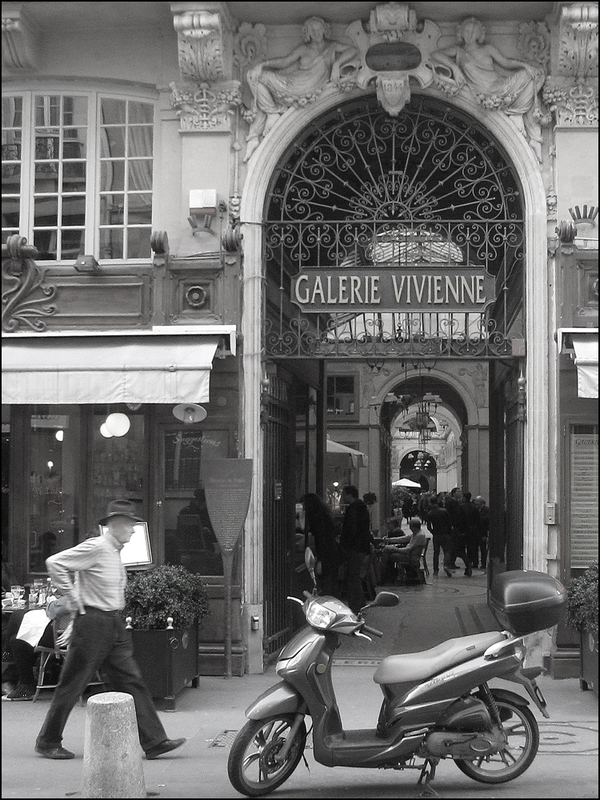 T.
I love galerie vivienne….sigh! Once again a lovely post. Merci. I know! I know! Galerie Vivienne is one of my favorites. There are so many lovely details. I walked, talked, and gawked! Thank you!! And Happy belated Feral Cat Awareness Day! T.
I’ve been giving tours of these passages for some time, and I’m so glad I do because it forced me to really delve into their history & splendor. They’re really a snapshot of 19th century Paris; it doesn’t take much to imagine the top hats and petticoats strolling though them back in the day. Twelve flouncing petticoats! 🙂 I agree with you, Corey! All visitors should roll through the passages. Perfect people-watching spots. Especially during the weekends. Do you have a favorite covered passage? Are you currently giving tours? Yes I give a tour of the passages which includes Véro-Dodat (perhaps my fav), Vivienne, Panoramas, and Jouffroy. I show folks the Palais Royal as well; you may already know that it’s there that the idea of the covered passage began. They’re a wonderful slice of Parisian history for sure. Oh, you made me smile. Thank you, Sir. Treasures! Your words and the passageways. It’s true. T.
Now The Dandy new all about the covered alleys around the Palais Royal, having used them as a short cut to get to Richelieu (the library not the man, I’m not quite that old), but the ones near the Bourse? Who knew? Another ‘look-see’ added to the list for the next visit. Oh, how I love your wit. What perfect timing! I was recently given an old bottle of Chanel N°5. I just opened it. Another sumptuous snap. Another way to time travel! YES. Galerie Vivienne is worth the trek. Here’s my tried and true route: Start your tour at the Pâlais Royal near the corner of Rue de Petits-Champs and Rue de Vivienne with Galerie Colbert, Galerie Vivienne, then go a few blocks north to behind La Bourse and wander into Passage Panoramas. At the other end, cross Boulevard Montmartre and enter Passage Jouffroy, which then connects to Passage Verdeau. Now lucky, lucky you… some old Chanel 5, how lovely! And lucky Dandy too, for I have copied and pasted that little walk and will be sure to take the route when I’m next in The City of Light, for the Soldes after Christmas I think. Now, Voyager, sail thou forth, to seek and find! I wish, wish, wish I could! Perhaps I’ll just make do with watching a Bette Davis movie instead. Great flick! I love it when literature collides with film. Now, Voyager. 1942. Bette Davis. Paul Henreid and Claude Rains! Well, that makes fall much better now! Nothing like a little retail therapy even if it is vicarious…. There was even a Passage du Désir! Sadly, I don’t think it survived Haussmann. But wow. What a great name. Retail therapy, indeed! T.
Richard. I know. I know. They are futuristic. The Surrealists and the Situationists loved the passages. I’ve been on the hunt for old photographs of the covered passages. I thought Eugène Atget shot a few windows. So far, no luck. I’ll keep looking! Say, you should visit the passages with your camera. You have a knack for capturing the meshing of past and present. Your photographs are always stunning. Futuristic. And timeless, to boot. 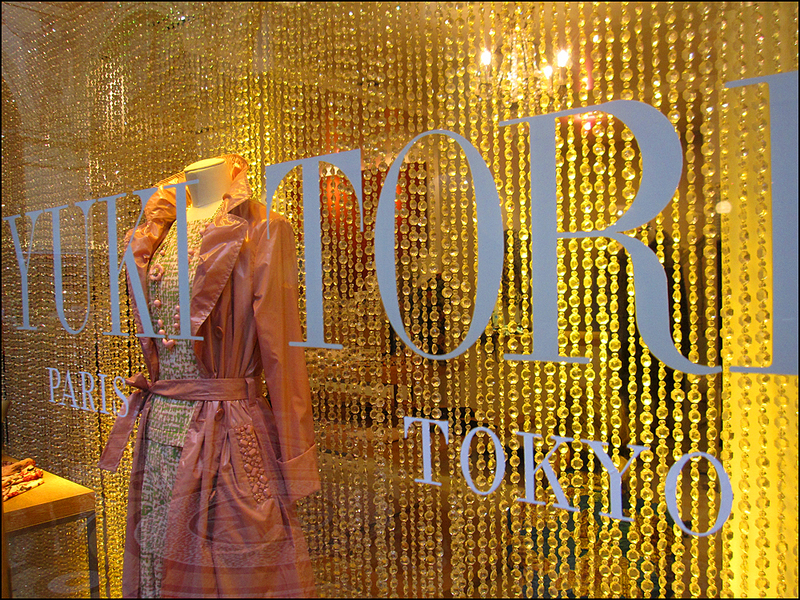 T.
Here’s another confession: I really, really wanted the Yuki Torii pink trench coat. I love the pockets. Oh, la la. I just spotted your report on Chocolate Dress! Another oh, la la-worthy creation, er temptation! T.
Oh, you’ve made me want to walk the streets of Paris in the cool rain and then go inside a pub or eatery and people gaze. Beautiful as always, T — you bring your readers in — as close as we can to being there. Thank you, Frank! And speaking of light, last year, I got see the “Gaz à tous les étages” exhibition at the Bibliothèque Forney in the Hotel de Sens, located in the Marais. It was very interesting. Named as a nod to the little blue enamel signs that can still be spotted on buildings throughout Paris (“All floors have gas”—a 19th century boasting), the exhibit recounted the history of gas in Paris. Great slogan! The exhibition featured photographs, antique lighting and cooking equipment, gas company uniforms, and a stellar collection of advertising posters along with a 1920s kitchen and hair salon, an Art Nouveau bathroom, and Frédéric Kastner’s weirdly entrancing gas organ. One of only two in the world. I think you would have enjoyed it! Here’s another Walter Benjamin quote. On writing! And it’s a beauty. Exciting, Karen! Are you currently on the musical, architectural or textile level? Or all three?! T.
Merci! The Paris Passageways are worth the trek! Stay tuned for Part Two. . .
A lovely post, as always. I wish they were still making shopping malls like this. Thank you! I agree! At least twenty survived. I plan to create a full-listing of the Paris passageways. Add them to your must-see list! Love your blog all over again. Always beautiful and delicious. I’m sending this link to my son and family who are in Paris for a month from San Francisco. thanks for all your posts. Thank you, Lilly! Let me know if you post your Paris photographs! T.
Love strolling through the covered galleries in Paris – such an iconic setting! I agree, Kim! Strolling through the passages is the perfect activity-rain or shine! T.
Nothing to say except simply beautiful…..
Really enjoyed this little tour Theadora! After reading all the comments as well I feel breathless as if I have been on a wild ride with Alice’s white rabbit. Thanks. Now for a rest. AHA !! Excellent piece Theadora, you are speaking to me now ! Love the mysteries of the expressionists, please hunt down the meeting places of Jean Paul Satre’s secret club meetings ! What a lovely way to be lost, saving this for my next visit !!! AHA, indeed!! Jean-Paul Sartre. I love the assignment. Thank you for the mission! So stay tuned . . .
What an adventure, Thea! I love the photos you took. The angles you gave them too! Clever and creative! Loved it. I a,ways have this knowing sensation inside me when I see photos of Paris. She’s calling on me to visit! Such great shots, Thea! 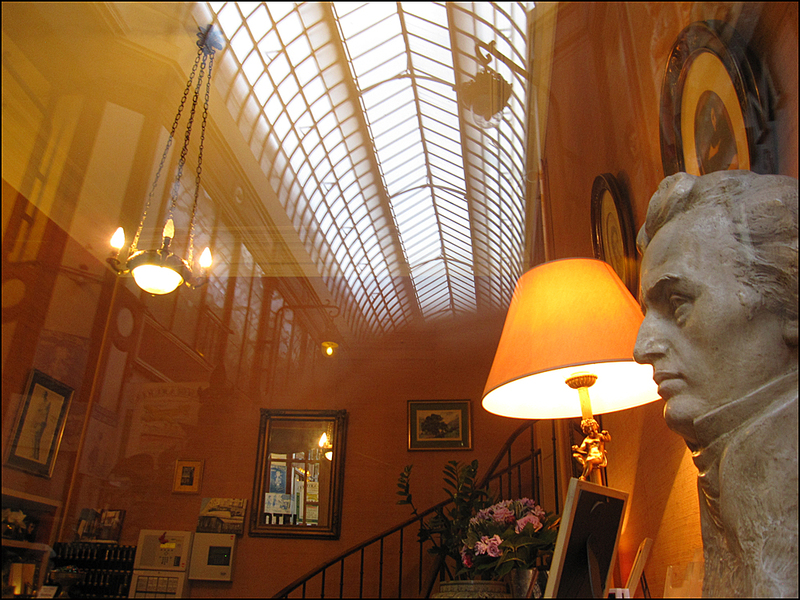 I love the reflection in the Chopin Hotel post, well done! Thanks again for such an enjoyable read! Thank you, Paul! Parc des Buttes-Chaumont (another surrealist hang-out) is next on my list. 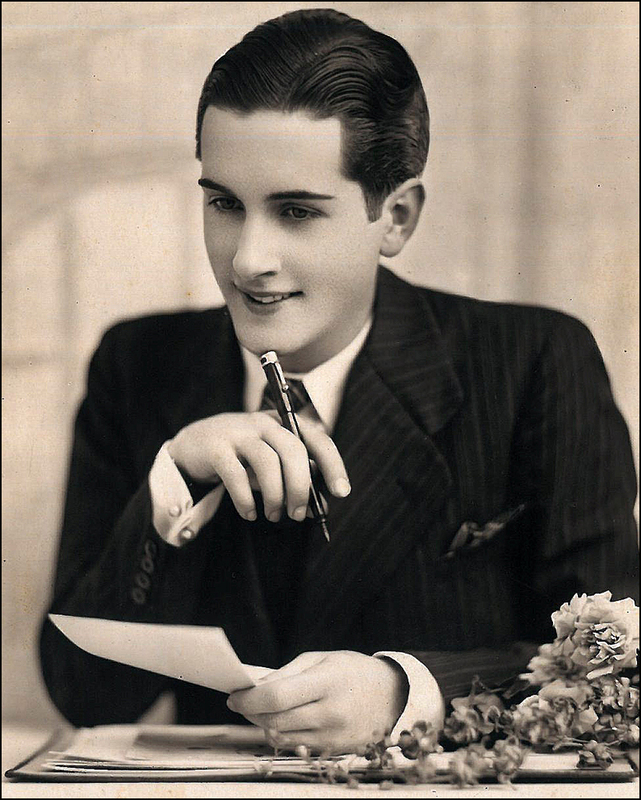 I’ve been spending time with Louis Aragon’s Paysan de Paris (1926). Beautiful descriptions! Aragon wrote, “We went into the Parc like conquerors, so keyed up and prepared for anything, it made us high.” It’s such a great-looking park! T.
Now thats a “passeggiare” to look forward to when next we visit the city of light. 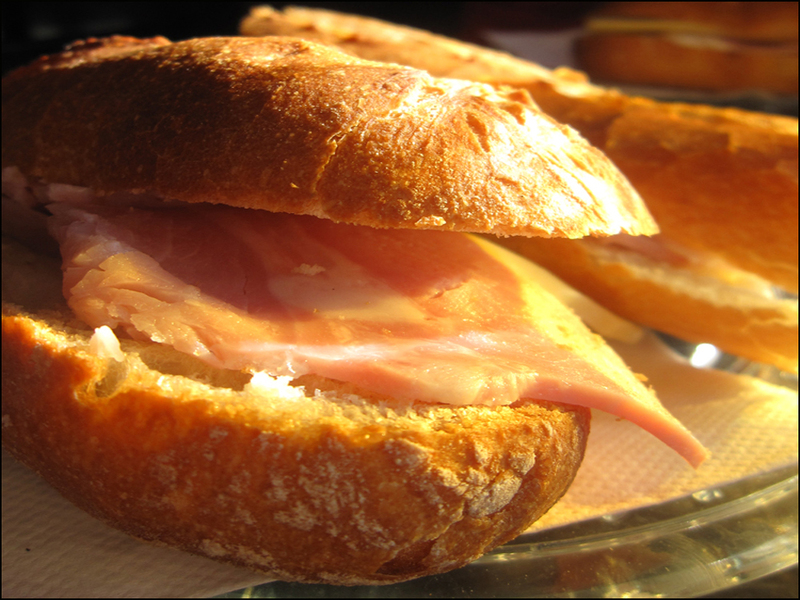 And that sandwich at CAFÉ PALAIS ROYAL – well I could take it right off the virtual page and eat it. Hello, Anita! Barcelona? Excellent choice! I think the Eurocheapo.com site has some great tips. Regina Bryan is a fabulous correspondent. I love time travel! Thank you for bringing me back to such a glamorous time in Paris with those beautiful mosaics and glass ceilings. 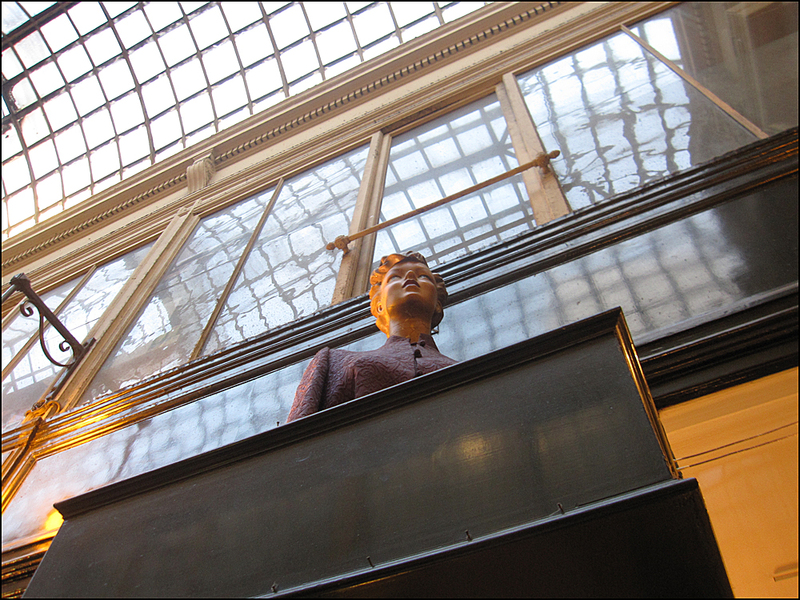 I love your photo of the inside of the Galerie Vivienne and almost walked right into it! Love paris and your blog! beautiful photos of a fabulous city!! we absolutely love paris and can’t wait to go back!! Merci, Vera and Rony! I appreciate your sweet words. While in Paris, did you score any treasures?! Dear Tom! Your site ALWAYS makes me smile and transports me to New York City! What a gift. T.
LOVE. I needed that 10 minute reverie. Merci. Passion, Passageways, and Paris. Headline-worthy, I do believe. I love it! Love love this. I have woven les galeries under the guide of my study abroad program director back in 2011, even raved via my blog 🙂 Your post makes my heart happy as you’ve told the world how to feel/experience Paris and the history of the modern shopping mall! Ps galerie de Vivienne looks very similar to an old US mall in Asheville, NC, where my family and I visited Biltmore this summer, another French copycat! Glad to have stumbled across your blog! Yes yes! 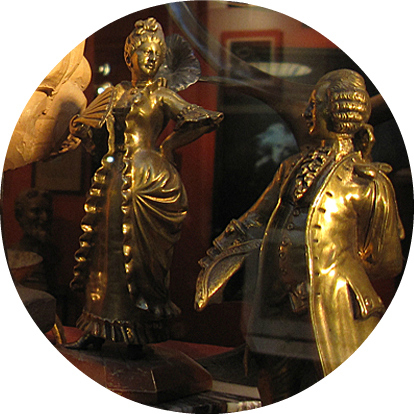 I’ve many lil posts about Paris but here is the bit on Versailles and the galeries http://wp.me/p3MQd1-2z! Are you’re living la vie en rose a Paris? Ah, thanks for taking the time to leave the links! I’m looking forward to reading your posts about Paris and Biltmore over the weekend. What a treat! Hi, Really nice photos here, I really need to take my wife to Paris next year, here is hoping and thank you for sharing, Graham, YourHobby…..
Great post! I only discovered the wonders of the Parisian passages after I had moved from Paris to Brussels. Like you said, it’s exceptionally pretty when it’s sunny outside and the light passes through the arcade roofs. It’s great that you can walk from one passage to another, end to end almost, in some parts of Paris. Hi Theadora, You’re most welcome. I think “Dear” boutique is no longer in operation though – the last time I went by, about six months ago, they had converted the space into an atelier. Nonetheless, the Passage du Grand Cerf is a beauty, so definitely worth a stroll through. To go into the night, and dine under the lights is such fun!